The launch of Microsoft’s Xbox One X console will certainly be one of the biggest events in the video game world this year, no doubt. After all, this will be the most powerful console ever made when it ships on November 7. Actually, not only will Microsoft’s console sport 12 GB of memory (vs the 8 GB the PS4 Pro ships with) and be capable of delivering 6 teraflops of computing power which will enable it to render true 4K or ultra-high definition graphics, something Sony’s PS4 Pro can’t quite handle. Despite the impressive specs, however, not everyone thinks the Xbox One X will be a hit this year. So believes analyst Michael Pachter, who speaking to GamingBolt said that Microsoft’s upcoming console “will not do well”. Also, Pachter stated that the Xbox One X’s price is a bit too steep for today’s console market. “So I think $500 is a lot, and I think we’ve been trained since at least the PlayStation, and probably since before then – I don’t actually remember what the NES was at launch – that $300 is the price point people are willing to pay”, said the analyst. The low rate of adoption of ultra-high definition TVs could also be another hurdle for Microsoft’s console according to the analyst, saying that “I know they are selling the appeal of 4K, but let’s be real, probably fewer than 10% of US households have a 4KTV, and certainly way less than that in any other developed country”. So, does this mean that the Xbox One X will be a flop this year? Will only those with deep pockets end up picking up Microsoft’s flagship console? We must first bear in mind that while the $500 asking price may seem a bit steep, this is the same price that the original Xbox One X shipped at in late 2013. This did not prevent the original Xbox One from selling millions, though. And it’s clear the Xbox One X is a better deal in 2017 as it’s a much more powerful, compact and better-looking machine, plus it doesn’t come with an intrusive accessory like the Kinect either. 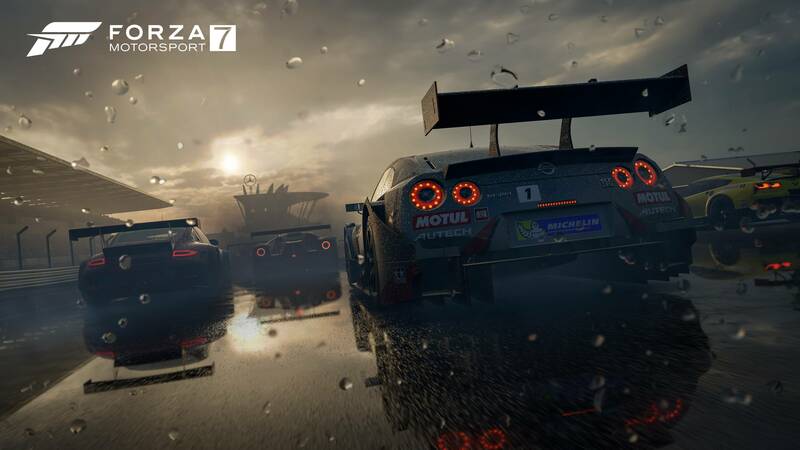 The likes of Forza Motorsport 7 will feature enhanced graphics on the Xbox One X. Also, there’s a psychological factor at play here too, as those who bought the original Xbox One back in 2013 and were disappointed by Microsoft’s offering might want to go for the Xbox One X this year, as many will see the X as the console the original Xbox One should have been at launch. This will be especially true for diehard Xbox fans who have resisted buying a PS4 or PS4 Pro, preferring to wait for Microsoft’s next offering instead. But what about the lack of adoption of 4K TVs, meaning those who get an Xbox One X and don’t own an ultra-high definition TV will be missing out on one of the console’s key features, its ability to render games in true 4K? This won’t be such a big issue as some may think, as the X should also be able to handle games at vanilla HD resolution better than any other console out there due to its extra horse power. Games should also look better at 1080p due to the extra visual effects and more detailed textures developers will be able to display in their games, while games in general should also be able to perform much better than on the vanilla Xbox One S thanks to the new console’s faster processor and memory. So, the Xbox One X could be a bigger success this year than many are anticipating then, as it could be a good option for those not wishing to get into PC gaming but still desire PC-levels of performance and visual quality in their console games. Or simply for those who wish to own, as Microsoft has described it, “the world’s most powerful console”. 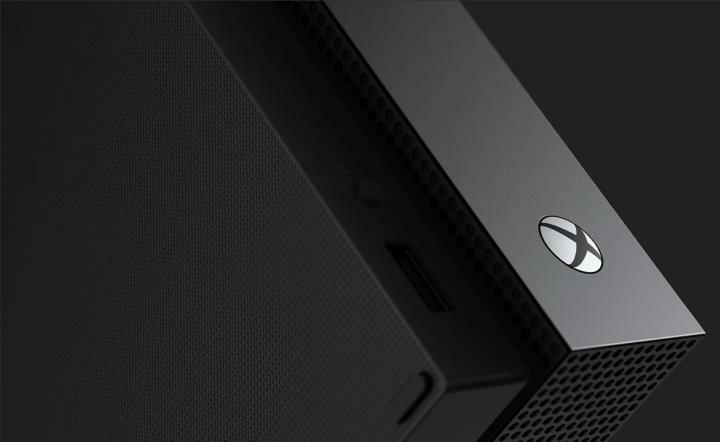 It remains to be seen, though, whether the Xbox One X can make the impact Microsoft is wishing for this year, given how overcrowded the console market is now. Actually, the X will not only be competing against Sony’s powerful PS4 Pro, but also against the vanilla PS4 (which continues to set sales records), the Nintendo Switch, which has taken the world by storm since its launch in March 2017, and also Microsoft’s own Xbox One S, which is selling at a very attractive price right now. But it’s clear the Xbox One has the potential to be a winner when it ships this fall nonetheless, and could end up surprising the naysayers and turn out to be a big hit this year.